Stop by Cisco’s table in the atrium to learn about their new grad & intern opportunities for master’s students. Q&A/Networking with Employees. 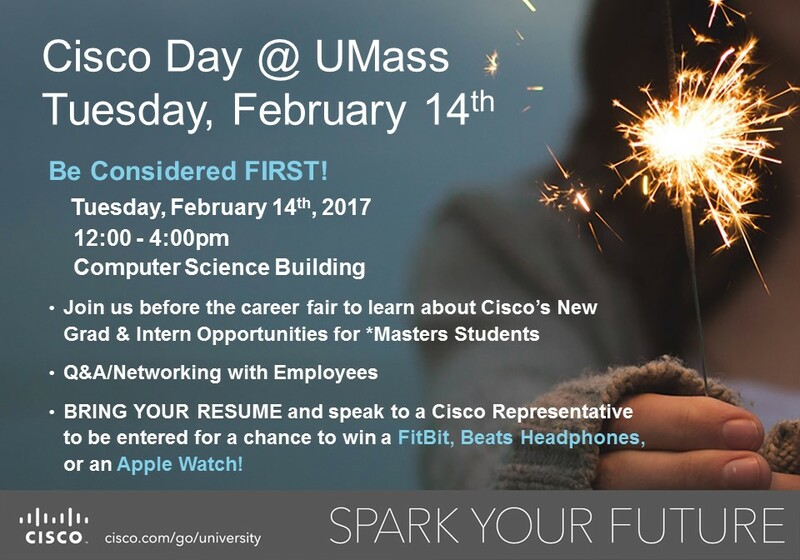 BRING YOUR RESUME and speak to a Cisco Representative to be entered for a chance to win a FitBit, Beats Headphones, or an Apple Watch!